Media reports this month highlight that Brexit uncertainty and a lack of affordability in areas such as East Anglia continue to stifle the housing market, leaving industry experts with a gloomy outlook. Strong price growth over the past six years in East Anglia appear to have stretched affordability beyond many people’s comfort zones – and the high prices are now putting off nervous buyers in the midst of the wider Brexit uncertainty. 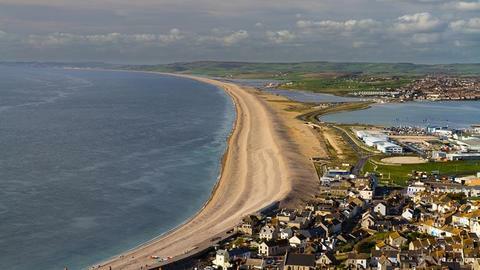 For aspiring home owners who remain eager to continue their house search, however, there are some fantastic developments cropping up across the region – and potentially less competition from rival buyers. 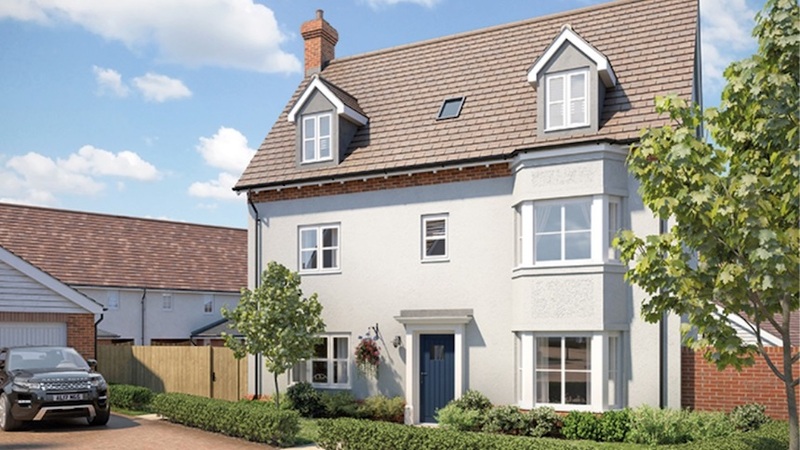 This latest selection of new housing schemes across East Anglia include some shared ownership options and others suitable for first time buyers alongside large, luxurious properties for buyers with fewer budget constraints. Set in a rural location just eight miles from Cambridge, this collection of 50 homes is currently under construction, although a selection has now been released onto the market. There are properties to cater for buyers on all rungs of the property ladder, from two-bedroom starter homes for first-time buyers right through to larger five-bedroom homes for growing families and those who simply want more space. Cottenham is one of the larger dormitory villages surrounding the city of Cambridge, and this means it has numerous amenities including two GP surgeries, a dental surgery, a public library, a Co-operative store, a pharmacy, a butcher, a bakery, a greengrocers, two newsagents (one of which incorporates a Post Office), a primary school, and a combined secondary school and adult education centre. The location is ideal for commuters, too, being directly connected to Cambridge by the B1049, and with rail links to London from nearby Waterbeach. Prices: From £324,995 to £734,995. 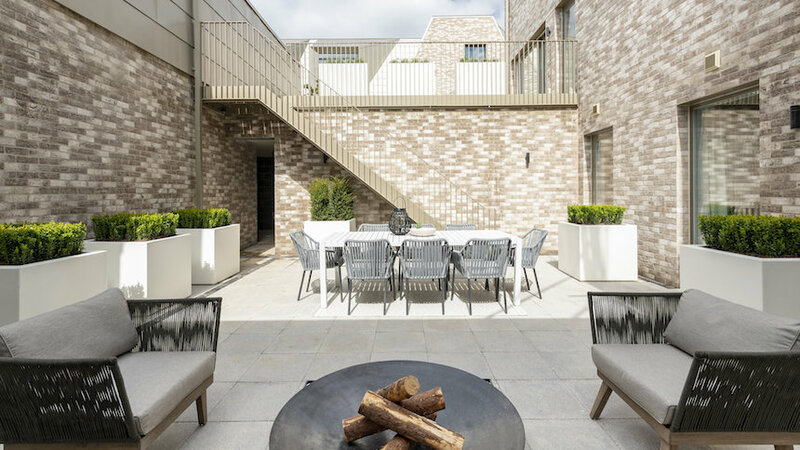 Located in the new Cambridge neighbourhood of Eddington, which has been created by the University of Cambridge, this development will appeal to buyers looking for environmentally-conscious developments. Athena incorporates an array of new homes built to Sustainable Homes Code Level 5, ranging from pied-à-terre apartments to five-bedroom detached houses, all situated in this new mixed academic and urban community. All of the properties are spacious and offer a high specification, with features such as high levels of insulation and triple glazing, solar panels, large windows, stylish kitchens and bathrooms, areas for home-working, underfloor heating and outside space in the form of balconies, terraces or courtyard gardens. Athena also has an innovative underground refuse system and the largest rainwater collection system in the UK, filtered for use in toilets, washing machines, and so on – reducing domestic water consumption by residents and making the development far more sustainable. Eddington itself has cycling and pedestrian-friendly routes, encouraging residents to commute more sustainably, and these routes also offer easy access to all of the area's amenities. For families with children the area is home to the University of Cambridge Primary School, rated ‘Outstanding’ by Ofsted. There is also the award-winning Storey’s Field community and performing arts centre; a health centre; a collection of public sports pitches; and a market square anchored by a large Sainsbury’s. Prices: Pied-à-terre apartments from £319,950; mews houses from £699,950; detached houses from £1,099,950. 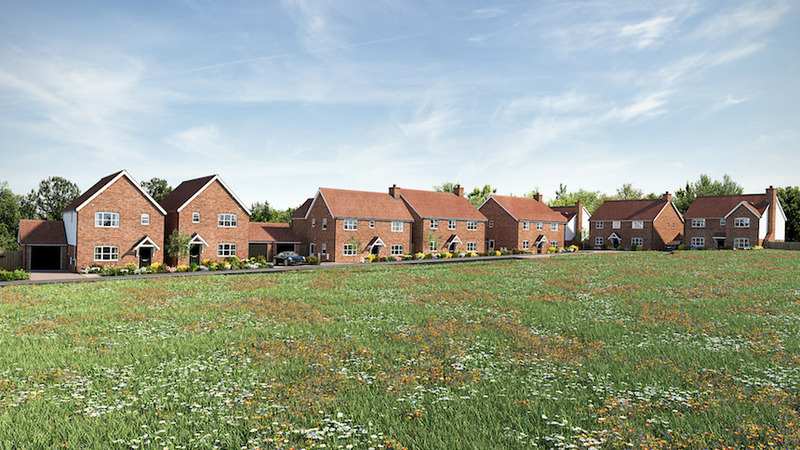 The first phase of homes at Nine Acres, on the edge of the sought-after semi-rural village of Tiptree, are now ready to reserve, including one- and two-bedroom apartments and three-, four- and five-bedroom homes. 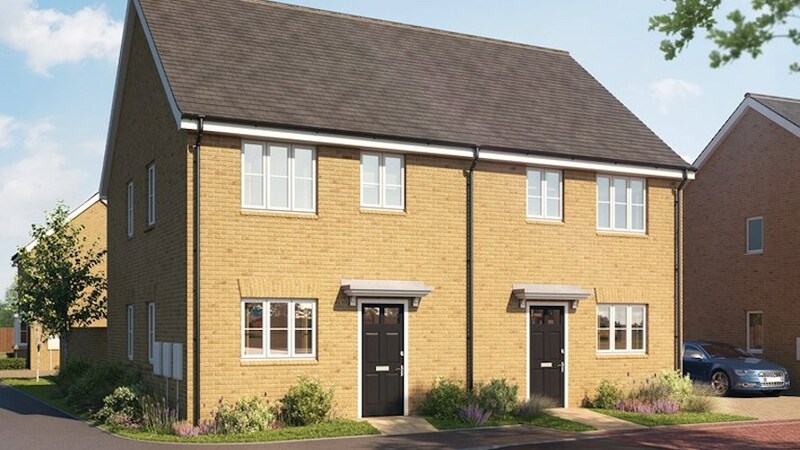 In an ideal location for many commuters – halfway between Colchester and Chelmsford, this development is surrounded by Essex countryside yet it is also well-connected by road and rail. The A12 is within easy reach, for example, whilst Kelvedon station is only four miles away, offering regular services to London Liverpool Street in about 50 minutes. There are essential amenities close to Nine Acres, too, including excellent schools. 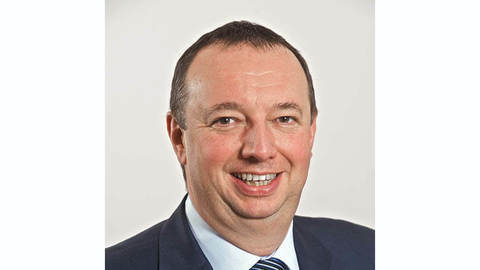 “We are delighted to bring this exciting new development to the market and have already received a high level of interest from local customers keen to purchase a new home,” says Dave Ridgewell, senior branch manager at Estate Agent William H Brown in Maldon. “Nine Acres has been beautifully designed to fit seamlessly with its natural surroundings, set in a wonderful location, and we’re inviting customers to visit our marketing suite, open daily from 10am-5pm, to view the show home." Prices: From £390,000 - £675,000. Despite being in a beautiful, historic North Hertfordshire village location, this exclusive development of just 12 new homes would suit Cambridge commuters, being just half an hour away from the city. Prospective buyers can choose between three-, four- and five-bedroom houses, all offering practical layouts and high specifications. 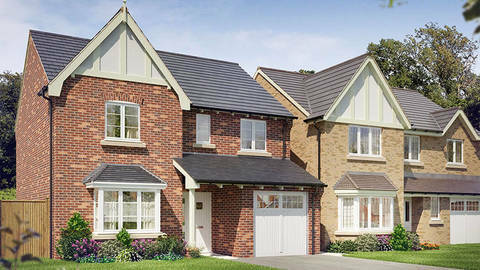 There are 10 private detached properties and two semi-detached shared ownership properties. The homes are surrounded by green spaces, trees and landscaping. Village amenities include shops and a pub, while the larger town of Royston is only five miles away with a wider variety of shops, restaurants, pubs and attractions. Those that need schools will be within walking distance of Barkway Pre-School and Barkway VA C of E, and all of the schools within a three-mile radius, both primary and secondary, have an Ofsted rating of either "Outstanding" or "Good". Royston Train Station is less than 15 minutes’ drive from Birch Meadow, with trains to Cambridge in 15 minutes and to London Kings Cross in 43 minutes. By car, the A10 is only a few miles away for travel into Cambridge in the north and St Albans in the south, and the M11 and A1 motorways are just over 30 minutes away for trips further afield. This mixed tenure development will offer, on completion, a collection of 81 contemporary two-, three- and four-bedroom homes available for Shared Ownership. Set in the village of Beck Row, just outside the small market town of Mildenhall near the A11, Bury St Edmunds is within easy striking distance. 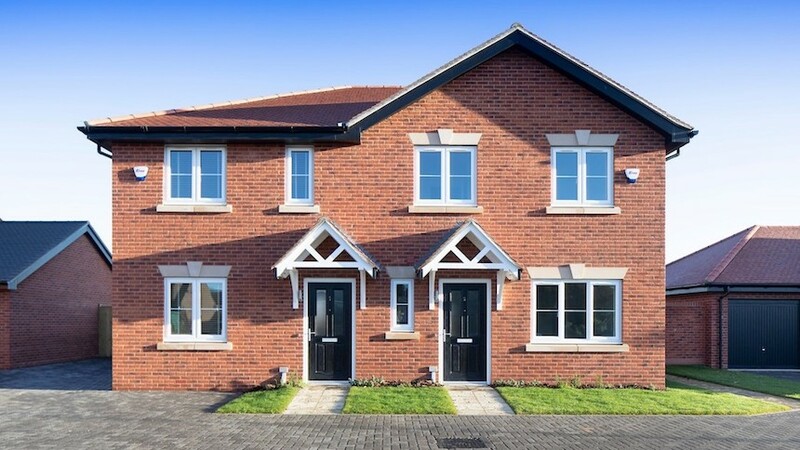 During this first phase of the site 16 new homes are available, all of which promise tasteful exteriors, contemporary interiors, integrated fitted kitchens, en-suite bathrooms to master bedrooms, private gardens and allocated parking, all set within landscaped open green spaces. Each home also comes with a selection of quality modern appliances, fittings and finishes. Aspal Close Nature Reserve, Thetford Forest Park and Weeting Heath National Nature Reserve are on the doorstep for leisure time, while commuter travel connections to the wider East of England region are also easy by both road and rail. Find out more at www.clarionhg.com or call 01638 713274.